Get savvy, protect your investment, do your due diligence and be confident in your proposed property purchase. Comprehensive House Inspection Reports conducted by our LBP Qualified, 20+ years industry experienced building professionals. Pre-purchase or pre-sale inspections colour-coded and easy to follow, however very comprehensive. (Including: non-invasive moisture screening of all high-risk wet areas, polarity electrical testing & 3 indicative laser level checks). Insurance repair Earthquake damage inspections reports. Checking the EQ repairs have been correctly completed to scope and have been completed to a good standard of workmanship. Tenancy regulation property inspection reports cover the Government regulation and MBIE guideline on the rental property Insulation, heating and fire safety. Full interior non-invasive moisture screening inspection and comprehensive written reports. Meth testing and specialist inspection reports. Insurance Company Earthquake damage inspections 3 page reports. Detailed floor plan measure and level inspection reports. "Thank you for your comprehensive report. It was helpful for me to have you inspect areas which I could not get to. As I suspected, only the newer part of the house is on concrete. It was interesting to see the foundations (lack of) under the rest of the house. I would not have known about the dampness underneath and your comment about ventilating this area is appreciated. As I surmised, there is insulation in the ceiling. It would seem prudent for me to investigate this space further when the owner removes his possessions. You have provided an extensive photographic record of the state of the building. Should I purchase, it will be a starting point for repair work. I appreciated your prompt service at short notice. Thank you." Linda Blake. ​Needing to get a new building assessed? If you’ve just built, or are about to build, a brand new home that you want to be healthy, safe and warm, then go here. Thermal imaging digital camera technology assists with detection of associated issues with moisture ingress and piping leaks. Thermal imaging also assists with confirmation/evidence of insulation being installed and functioning correctly. Thermal imaging inspections alert you to any hidden electrical faults or problem areas in your home. Do you need to know the square metre area of your house for insurance purposes & like to confirm your dwelling is within tolerance regarding the floor levels (Includes: Detailed floor plan, measure & a comprehensive zip level specialist report). 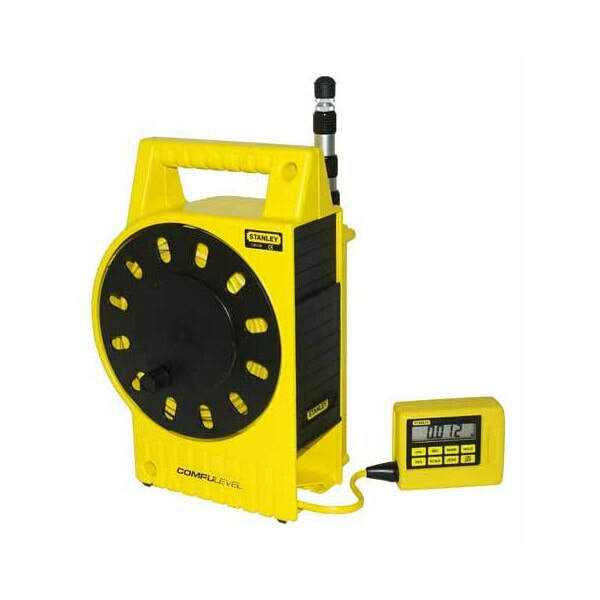 Professional hand-held measuring device for the quick, non-destructive determination of moisture distributions in near-surface areas. The T660 is ideally suited for the quick, non-destructive determination of moisture distribution in near-surface areas to about 4 cm. Based on the T660's integrated material pre-selection function for anhydrite and cementitious screed the measurement results (indicative) can on demand be shown directly in mass % or CM % on the colour display of the T660. The integrated conversion of measured values is a practical tool, in particular for floor layers to quickly check the readiness for covering. In addition to the preliminary check of the building materials' readiness for covering for CM measurements the T660 is also suited for non-destructive wood moisture measurements according to the dielectric measurement method (indicative). Fire Extinguishers, Fire Equipment, Fire Hoses, Hi Vis and Protective Clothing and First Aid Kits. To contact us please Freephone 0800 25 25 65 or enter your details in the form opposite. Air monitoring analysis in compliance with NOHSC:3003(2005) Guidance Note on the Membrane Filter Method for Estimating Airborne Asbestos Fibres 2nd Ed. Quantitative soil analysis using the West Australian guidelines for the assessment, remediation and management of asbestos contaminated sites (2009) and/or NZ Guidelines for Assessing and Managing Asbestos in soil. Our in-house analysis is performed by experienced analysts, supervised by Key Technical Personnel (KTP’s) whose proficiency are regularly assessed using PTA Australia. Let Savvy Houz Inspections tick all the boxes. Non-invasive moisture level screening of all known high-risk areas.